This flagship guidance presents anti-bribery and corruption best practice for companies, drawing upon expertise from over 120 leading compliance and legal practitioners and Transparency International’s extensive global experience. This free-to-use online portal expands and updates all of TI-UK’s Business Integrity guidance over the last decade. This includes our original Adequate Procedures Guidance to the UK Bribery Act; a leading resource for compliance and legal professionals, which has been downloaded over 45,000 times from TI-UK’s website. The guidance has been kindly supported by FTI Consulting and DLA Piper. Many companies are facing increased bribery risks as they continue to expand internationally and become increasingly reliant on diffuse supply chains and complex third-party networks. There are also additional risks around stakeholder expectations, a global strengthening of anti-bribery legislation – requiring better internal mechanisms to ensure compliance – and enhanced enforcement. Companies will always design their own bribery programme according to their particular circumstances but those following this guidance can take reasonable assurance that they are well positioned to counter risks of bribery, comply with anti-bribery legislation in jurisdictions across the world and to act ethically and positively in the markets in which they operate. The goal of our Business Integrity Programme is to raise anti-corruption standards in the private sector. We aim to ensure that individuals and organisations do not participate in, enable or endorse corruption. Our approach is to engage positively with the private sector, governments and leading anti-corruption initiatives to identify and advocate best practice.  We would like to thank DLA Piper, FTI Consulting and the members of the Expert Advisory Committee for advising on the development of the guidance: Andrew Daniels, Anny Tubbs, Fiona Thompson, Harriet Campbell, Julian Glass, Joshua Domb, Sam Millar, Simon Airey, Warwick English and Will White. Special thanks to Jean-Pierre Mean and Moira Andrews. © 2018 Transparency International UK. All rights reserved. Reproduction in whole or in parts is permitted providing that full credit is given to Transparency International UK and that any such reproduction, in whole or in parts, is not sold or incorporated in works that are sold. Written permission must be sought from Transparency International UK if any such reproduction would adapt or modify the original content. If any content is used then please credit Transparency International UK. Every effort has been made to verify the accuracy of the information contained in this report. All information was believed to be correct as of October 2017. Nevertheless, Transparency International UK (TI-UK) cannot accept responsibility for the consequences of its use for other purposes or in other contexts. Policy recommendations and best practice guidance reflect TI-UK’s opinion. They should not be taken to represent the views of any of those quoted or interviewed nor those of the companies or individuals that provided input or members of the Expert Advisory Committee, FTI Consulting or DLA Piper. Neither TI-UK, FTI Consulting nor DLA Piper assumes any liability for the information contained herein, its interpretation or for any reliance on it. The document should not be construed as a recommendation, endorsement, opinion or approval of any kind. This Guidance has been produced for information only and should not be relied on for legal purposes. Professional advice should always be sought before taking action based on the information provided.